​In Spain, the 10 top attractions depend on your age. There are sharp bars in every city which would be the high point for many young rocket travellers. There are the football arenas to see the greatest football teams in the world and this appeal to others. With its historical landmarks and monuments as well as great works of the Spanish masters like Velasquez, Madrid is a must visit when you go to Spain. It is old with buildings that can be gloomy and foreboding at times, but also vibrantly young with a mix of population that makes you feel at home regardless of where you are from. ​There are many interesting things to see and do in Spain's capital city but top of the list for me which I can't enjoy in any other city in the world is the Prado Museum. It has the best of the Spanish great painters like Velasquez, Goya, and Murillo to mention a few. Given Spain's strong connection to the Hapsburgs, its Reubens collection can stand up to the best of the world. More of the Hapsburg influence can be seen in Madrid's Plaza Mayor. Considered the heart of old Hapsburg, this square has seen it all from Christmas markets, soccer games, bull fights and even executions. Today, under its porticoes are traditional shops and cafes which are fun to explore. Sample the famous calamari sandwich, a specialty of this area. Also, visit the Royal Palace which is not far from here. I love Barcelona from what I have seen in a few days from the Hop-On Hop-Off bus, walking in the great Squares and visits to Gaudi's works. So, impressed by what I saw, my husband and I decided to stay longer there. This stay eventually stretched to almost 3 months and still, we have not done all of the interesting things to do in this amazing city. ​It embodies Gaudi's imagination and it has almost everything every city wants to have: an interesting waterfront, traditional markets, old quarters, great museums, gourmet food and unique delicacies, and easy to use metro and other transport. If you are keen to understand the Moorish influence on Spain, this is the place to visit. 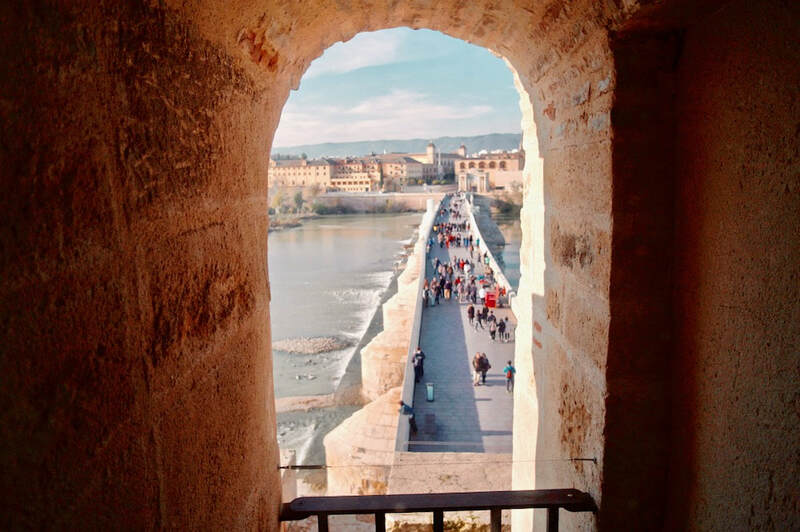 Not just that but in Cordoba, you will find in its attractions, the layers of history and culture that have lived in harmony in that city and the historic acceptance among the Jewish, Muslim and Christian population up to the Reconquista. You'll also see a good picture of how the different powers took hold of the city and superimposed on it their architecture, language and food. What a legacy.legacies. Today, Cordoba has integrated all these into its testament that in spite of differences, people can still live in harmony with each other. Set at the foot of the Sierra Nevada, this southern Andalusian city boasts of the best Moorish architecture. Nothing much in the world can compete with The Alhambra, the Moorish Palace with its courtyards, beautiful gardens and reflecting pools. It is the draw to this city. Some say it is the most beautiful palace ever built. Seville is magic. It has culture but it is really famous for its flamenco dancing. From the famous Giralda and the Gothic Cathedral where you can pay homage to Columbus tomb to the Alcazar, there are historical gems to see. A stroll in the banks of the Guadalquivir or a scenic boat ride is one that brings you to see some of Seville's modern landmarks. ​You can go and visit the Expo wonders and the beautiful bridge. One of out most memorable visits is to the Plaza de Espana where all the provinces of Spain have their tile mural showing what makes each of them unique. But the big draw in Seville is the Semana Santa where the city celebrates and the feria is something to be at. The procession of the life-size statues and the tents sponsored by major families bring a festive spirit to the celebration. Nothing beats Toledo in showcasing its rich culture in food, in architecture, and especially in souvenirs. Store after store will delight any shopper, especially with tiles and Toledo steel knives. There is so much to visit here as the things to see and do are well established. For us, the big draw is the El Greco Museum. but what surprised us most is the Church of San Salvador which is also an archaeological display of the layers of civilization that had their heydays in Toledo. And the Man of La Mancha is at every street corner checking your quest! For me, Avila's attraction is not just its magnificent walls but it's the birth place of one of the greatest saints in history. Even if you're not a Christian, this strong woman, Teresa of Avila, would get your respect. She founded a congregation that is serving in so many countries of the world and has inspired many others to generosity and kindness. The walls tell their own story, making us marvel at how history builds, destroys and builds again as each great power takes over....and leaves. This city was a bit chaotic for me but once I emerged from the underground parking, I was faced with the Basilica of Our Lady of the Pillar and it was just magnificent. Inside, it has some of Goya's masterpieces. When you visit during the Christmas season, this city has one of the biggest Nativity displays I have ever seen. The Christmas markets are fabulous but don't be sucked in by the stores. ​You just have to visit the Goya Museum and if you're a Senior, you can enter free of charge. Its display will help you expand your understanding of Goya from an artist to a social activist. This city is in the midst of restoration and preservation of its heritage. It has done a great job of doing so and it has created a paseo (a promenade) on the river that gives the city a park-like feel. The rows of poplars add to the magic. ​During the Napoleonic period, the Duke of Wellington and the Spanish armies pushed out the French after 5 solid years of pillage leaving the population of the place to 2,000 from 5,000. Here's a unique place you probably haven't heard of but the drive to this city is one of the most beautiful we have had in Spain. Just be careful as we got a speeding ticket. 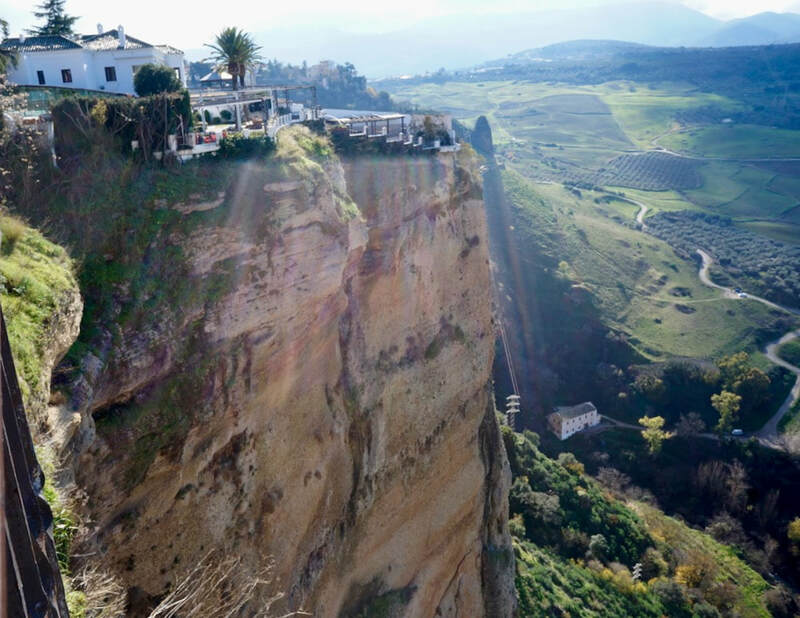 Ronda is the birth place of one of Spain's most famous toreador. So watch for the bull fight season and give this place a go. What, for you, is the top place to visit in Spain? Share with us in the Comments below.